If you have a template you want to use for multiple servers in your account, you can quickly copy the template over to additional servers. Open the template you want to duplicate. Next to the Save button, click the dropdown arrow and then select Duplicate. Enter the template name and select the server you want to copy the template to, then click Duplicate . You can then open the copied template or return to the original template. 1. Open the server containing the templates you want to push to another server and head to the Templates page. 2. Click the Push to another server button. 3. 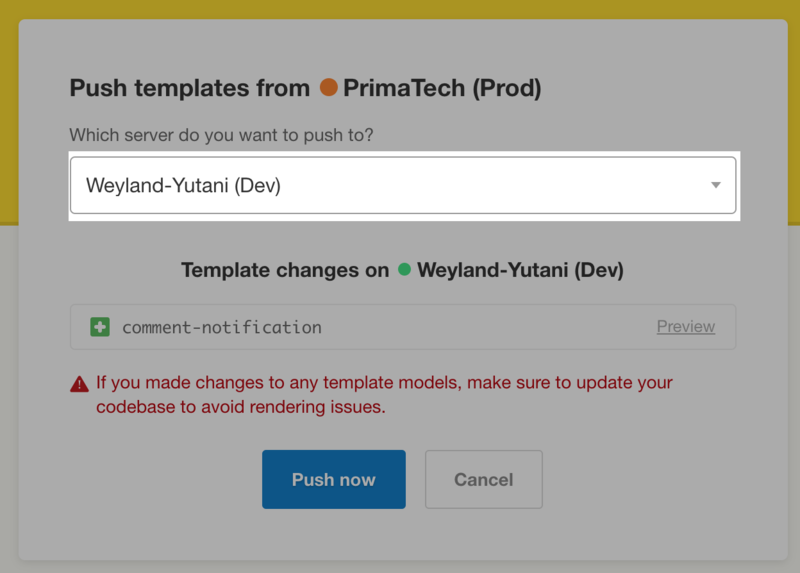 Select the destination server you want to push the template(s) to. You will see a preview of the templates heading to the destination server, along with whether they will be created for the first time (+ icon) or will update an existing template (pencil icon). Click the Preview button if you want to preview the changes. 4. Click Push now to complete the push of the templates to the destination server. Templates can be copied from a source server to another server using the Templates API as well. 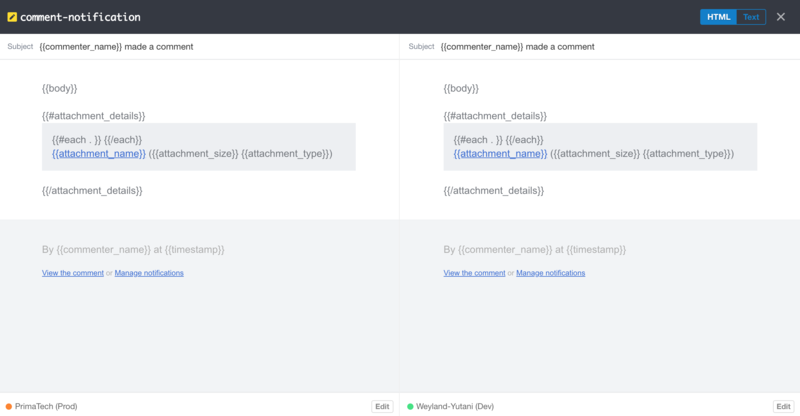 Use this option for programmatically keeping your templates in sync across multiple environments or giving your users a way to sync template changes from your own UI.